Florida’s official pie is the sweet and tart Key Lime Pie, loved by all who taste it. Dreamy, smooth, and cool, it’s a pie that any Key West local would be happy to sink their fork into. 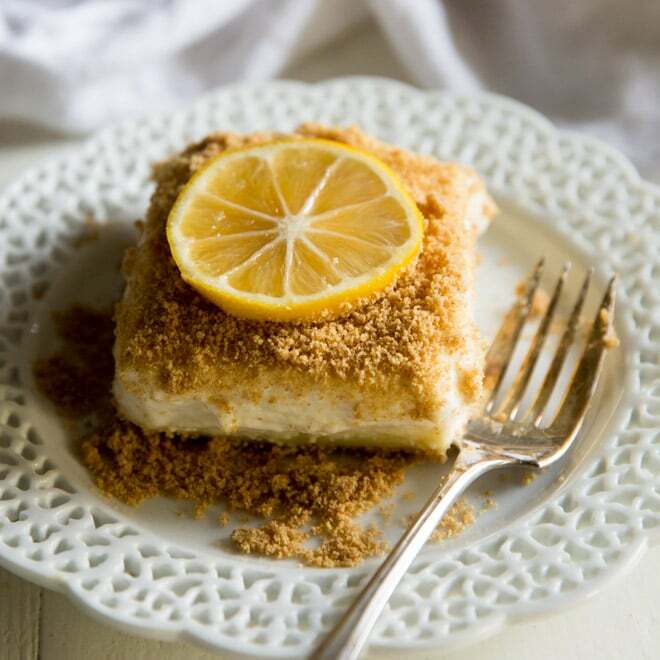 This recipe is as close to the classic, universally accepted recipe as it gets: a graham cracker crust, a light yellow filling made with egg yolks, and a topping made of slightly sweetened whipped cream. 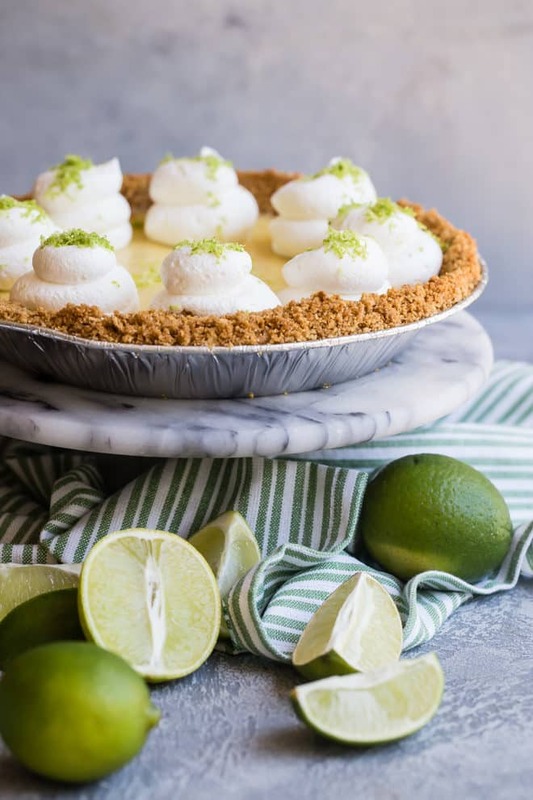 Your search for the perfect Key Lime Pie is over (just as soon as you locate those little limes). 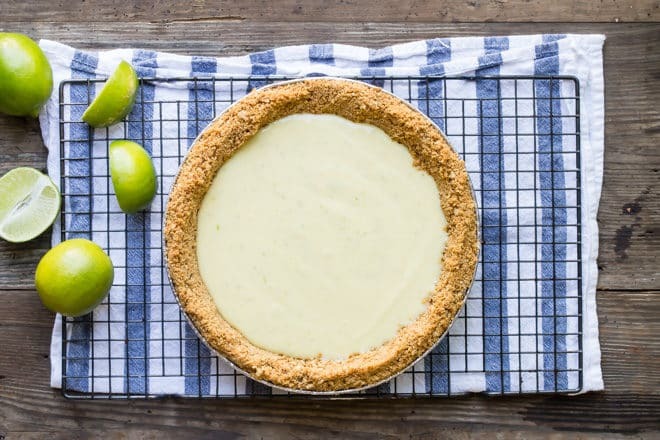 What is the origin of Key Lime Pie? 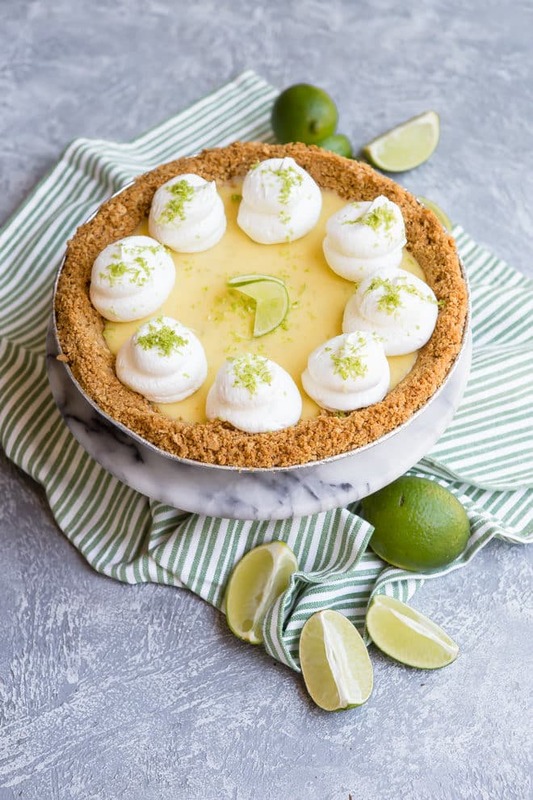 Southern Florida has been making this classic for over 100 years, and while its exact origin is debated, it is generally believed that Bahamian settlers were some of the first people to make Key lime pie out of the small regional limes and sweetened condensed milk. Until the 1930s, milk was unavailable in the Florida Keys; the overseas highway finally made it possible for ice trucks to access the islands. How is a key lime different from a regular lime? 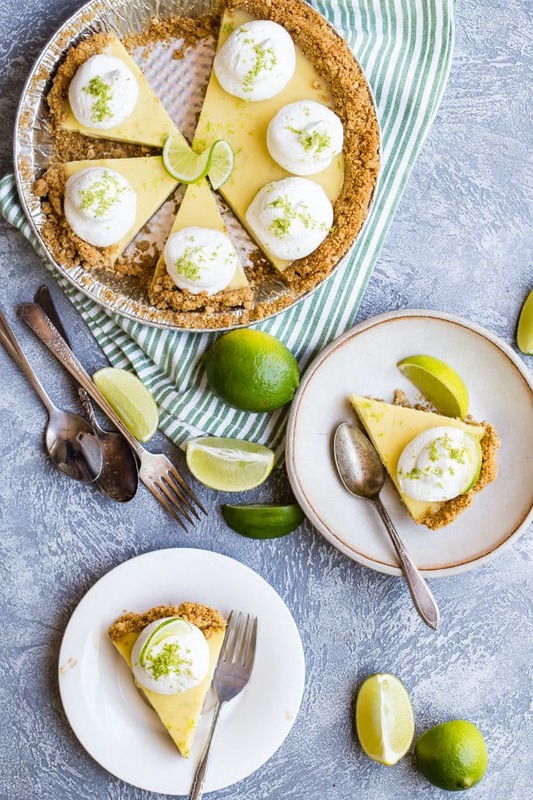 A key lime is smaller and seedier, and has a higher acidity, a stronger aroma, and a thinner rind, than a common grocery store (Persian) lime. Compared to other limes, it is valued for its unique lime-y flavor. When a hurricane wiped out the Key lime crops in 1926, the crops were replaced with Persian lime trees. Where do you find key limes? The peak season for Key limes is during the summer, June through August, but they should be available year-round from Mexico and Central America. But to a true Floridian, only real Key limes come from the Florida Keys! How many limes do you need for Key Lime Pie? You need about 15 Key limes to get 1/2 cup juice, 20 limes to make 3/4 cup juice. Can Key Lime Pie be made with regular limes? If you can’t find fresh Key limes or they’re not in season, look for frozen or bottled Key lime juice, preferably a Florida brand like Nellie & Joe’s Key Lime Juice. Usually it will be on the shelf next to lemon juice in the juice aisle of a supermarket. Persian lime juice is the next best substitute. Can you add extra zest to a Key Lime Pie? In case you want a super tart pie, try increasing the lime juice to 3/4 cup (about 20 Key limes) and keep the zest as is. Adding more zest may make your pie too bitter. 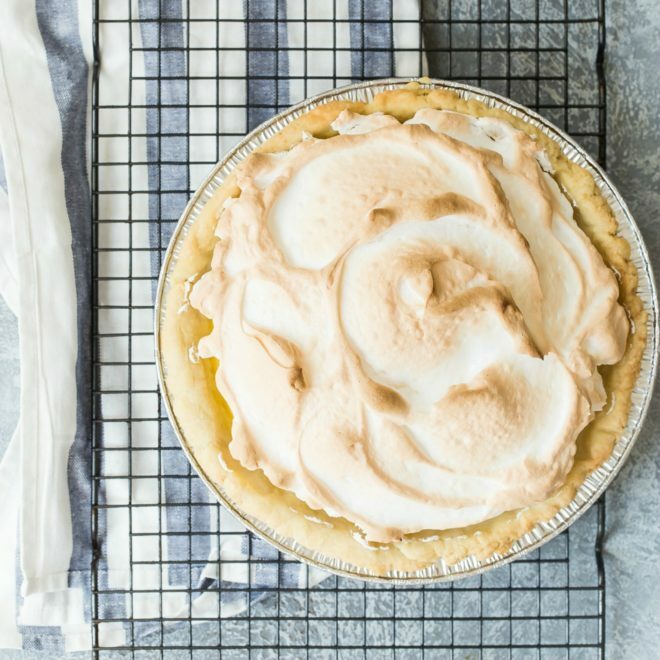 Do you make Key Lime Pie with meringue or whipped cream? I’d rather make a pie than start a war, but this recipe stays as close as it can to the original and uses whipped cream. 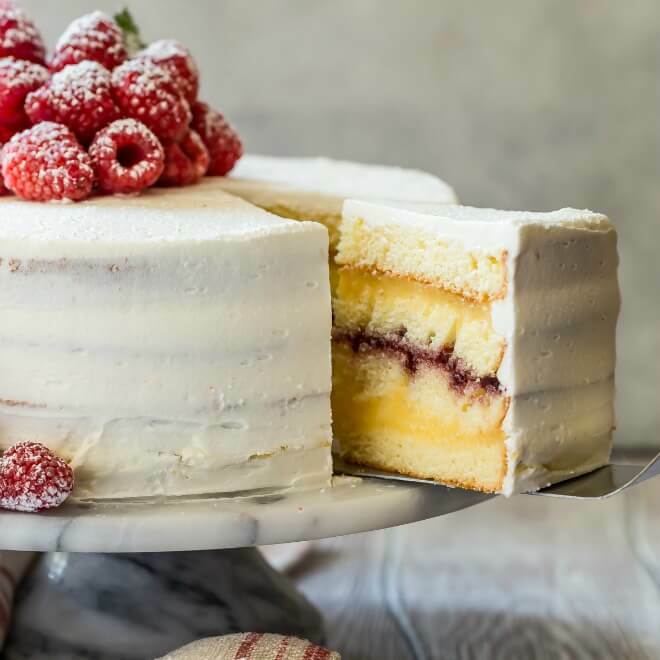 It’s your pie, so if you’d rather make meringue, follow my tips for how to make meringue and start beating those egg whites! Does Key Lime Pie need to be refrigerated? Because of the eggs and cream in the recipe, this pie should be kept in the refrigerator until devoured. Freshly baked key lime pie will keep for about 2 to 3 days in the fridge; refrigerate covered loosely with aluminum foil or plastic wrap. Can Key Lime Pie be frozen? 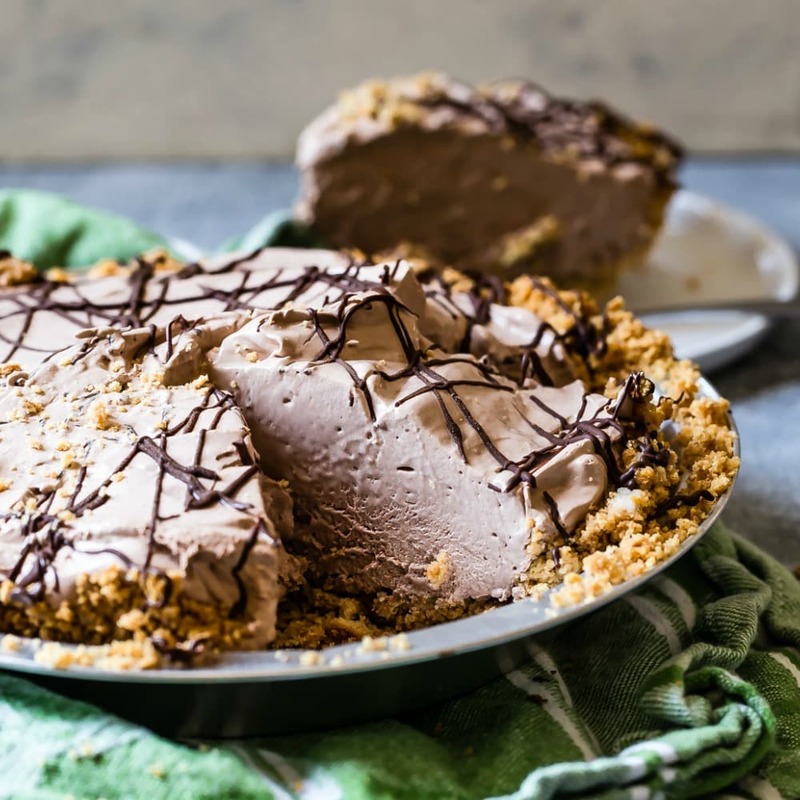 While so many great desserts and pies freeze beautifully, this pie freezes better without the whipped cream. Make sure you wrap the pie well and thaw out within 1-2 months. If you want to get ahead of the game, just make the crust and freeze it until you’re ready to make the pie. Can you make Key Lime Pie without eggs? Some cooks use a recipe that calls for cream cheese instead of eggs, veering from the original quite a bit. 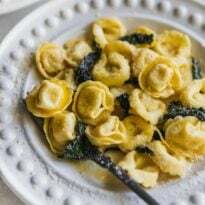 But if you’d like to try it, substitute an 8 ounce package of cream cheese for the egg yolks and blend the remaining filling ingredients together. Pour into pie shell and chill until firm, there’s no need to bake. Can you make Key Lime Pie without graham crackers? In case you can’t locate graham crackers, look for digestive biscuits, Bastogne, or Speculoos cookies. 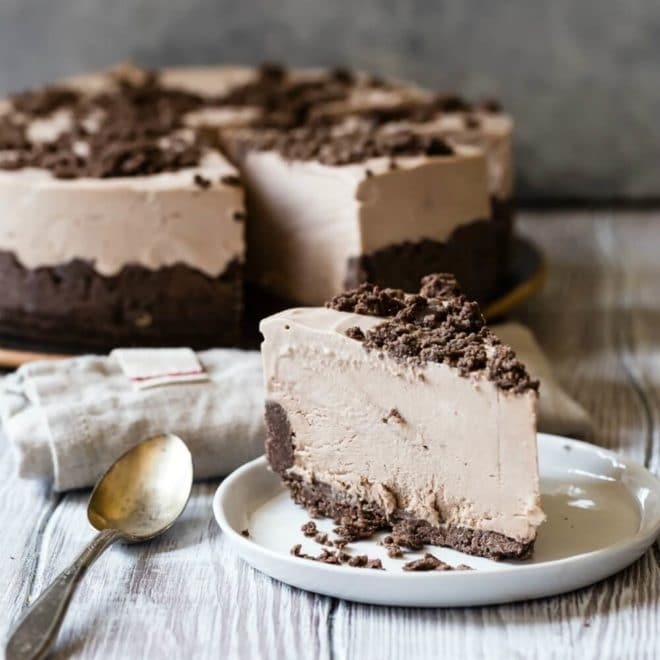 You could also use crushed gingersnaps and even a little toasted coconut in the crust, but cut the sugar of you’re using a sweeter cookie. Can you make Key Lime Pie gluten free? If you’re looking for a gluten free Key Lime Pie, make the crust using gluten free crackers or cookies. 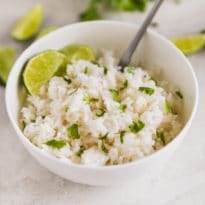 Additionally, you could mix in 1/2 cup of ground almonds for some of the crackers, or a little toasted coconut; lime and coconut make a winning combination. Can you make Key Lime Pie with sour cream? Some cooks add 1/4 cup sour cream to the pie filling; if you love that extra rich tang of good sour cream, try spreading a thin layer of sour cream on top of the cooled custard with a sprinkle of powdered sugar before piping on the whipped cream. You’ll be glad you did. 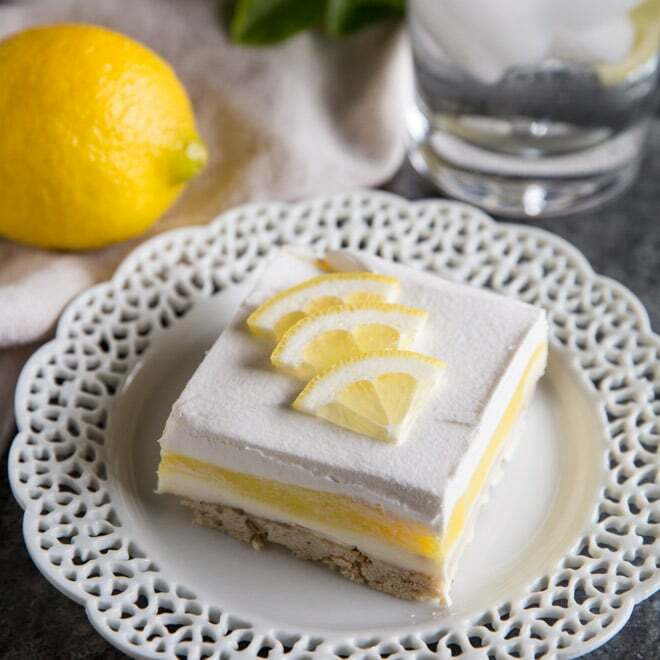 Can you make Key Lime Pie bars? If you’re serving larger groups, you can make bars in a 9” x 13” pan, by doubling the crust recipe but using the same amount of pie filling. 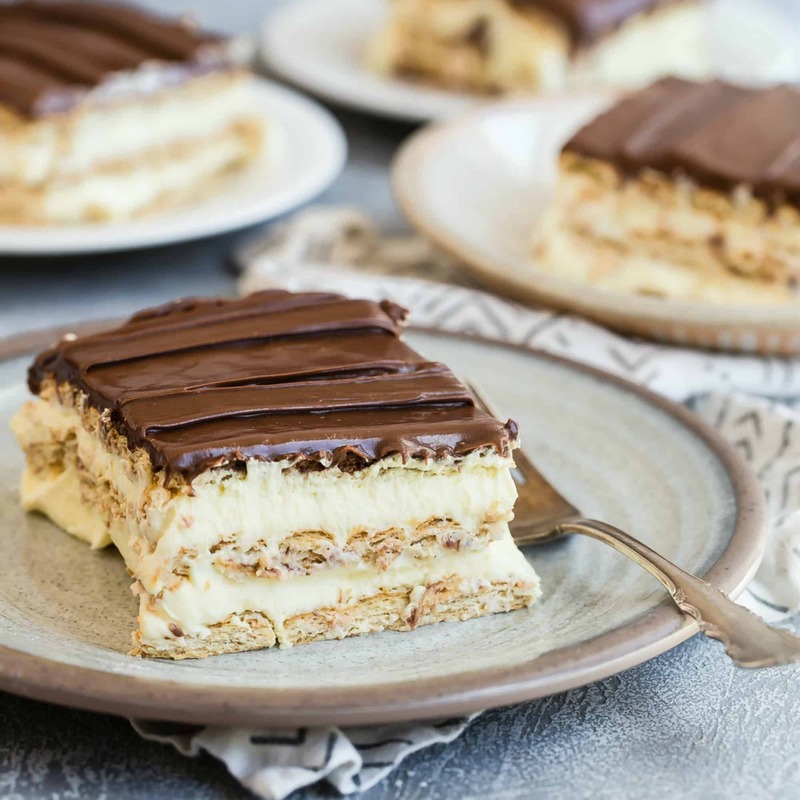 Cut into bars with a wet knife. Do you have to bake a Key Lime Pie? 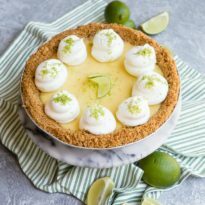 Early recipes for Key lime pie did not require baking the pie, relying on a chemical reaction, thickening, to produce the proper consistency of the filling. Today, because consuming raw eggs can be dangerous, pies of this nature are usually baked for a short time. The baking also thickens the texture more than the reaction alone. Save this Key Lime Pie to your “Desserts” Pinterest board! Florida’s official pie is the sweet and tart Key Lime Pie, loved by all who taste it. Dreamy, smooth, and cool, it’s a pie that any Key West local would happily sink their fork into. 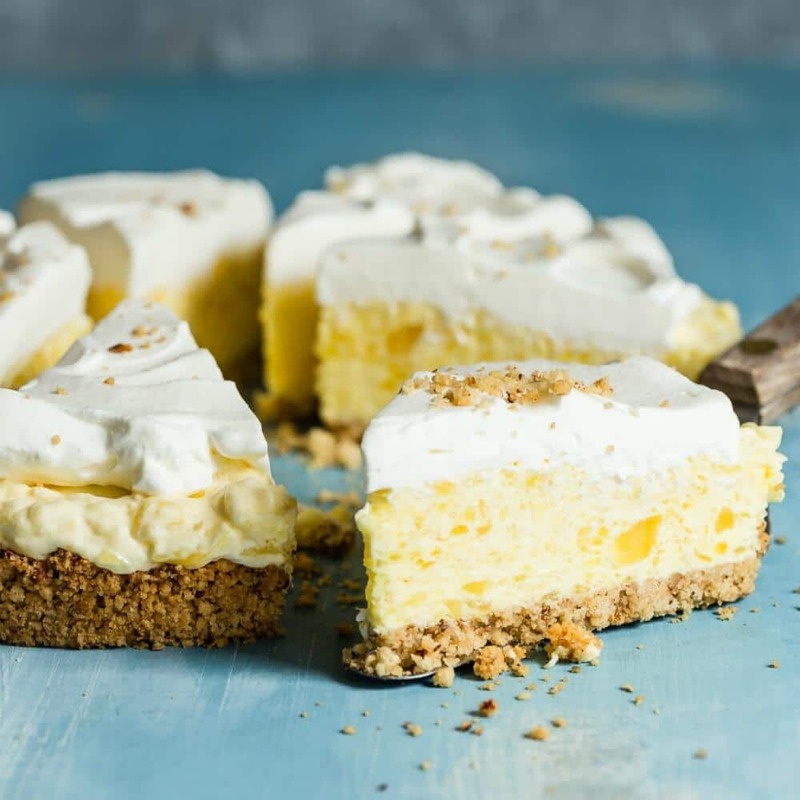 This recipe is as close to classic as it gets: a graham cracker crust, a filling made with egg yolks, and a whipped cream topping. In a medium bowl, whisk together egg yolks and lime zest until lightly green, about 2 minutes. Whisk in condensed milk until smooth, then whisk in lime juice. Cover and let sit at room temperature until thickened, about 30 minutes. 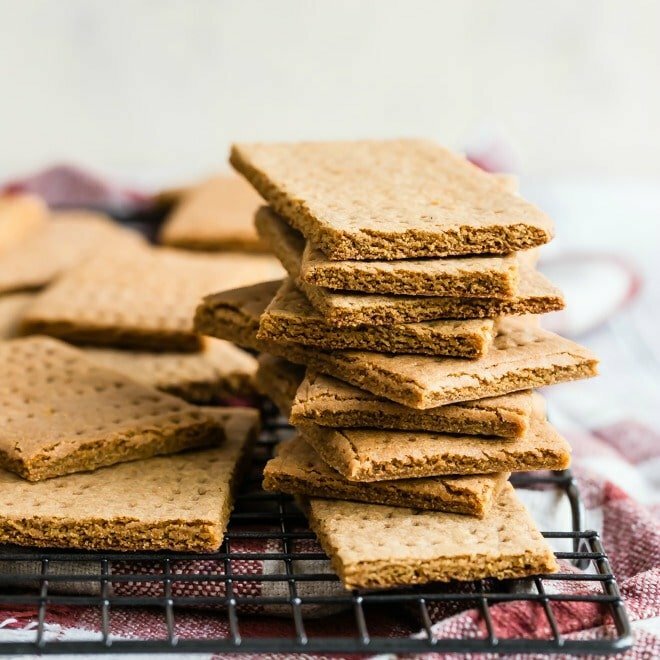 In a food processor, or in a plastic bag with a rolling pin, finely crush graham crackers. 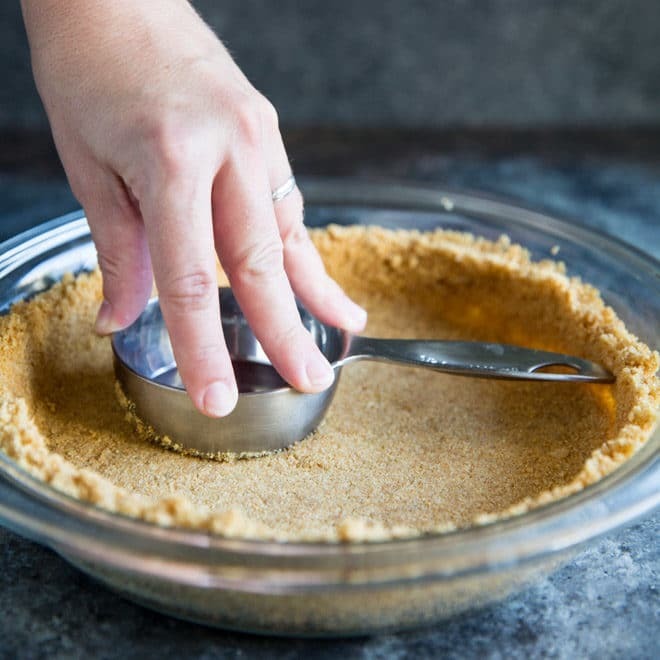 In a medium bowl, combine graham cracker crumbs, butter, and sugar. 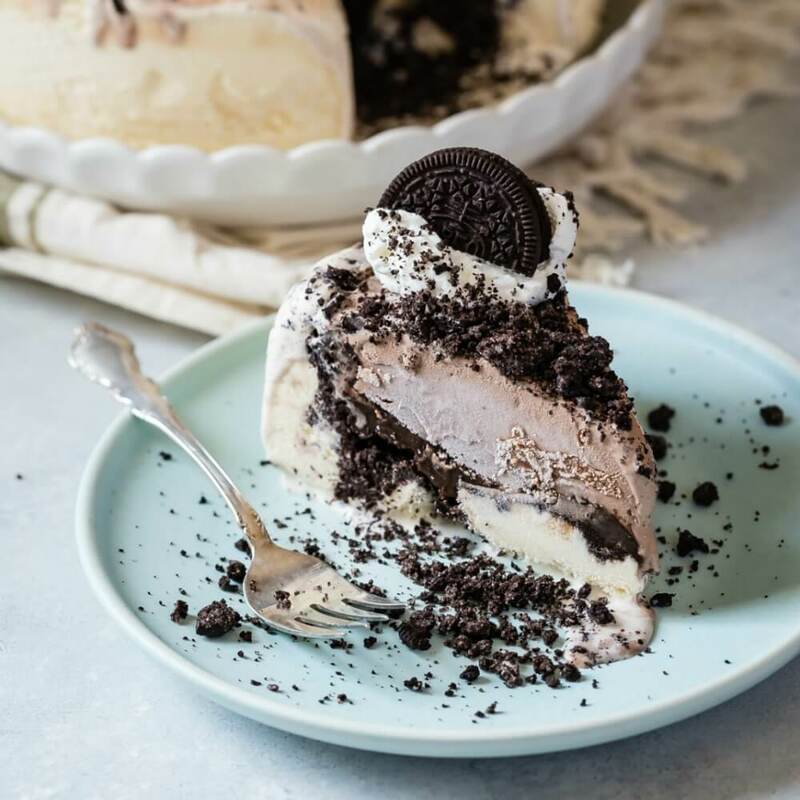 Pour into a 9-inch pie plate, using the bottom of a measuring cup to press the crust evenly and firmly into the bottom and up the sides of the pie plate. Bake until golden brown and fragrant, 15 to 20 minutes. Remove from oven and transfer to wire rack (do not turn off oven). Pour thickened filling into warm pie crust. Bake until center is firm but still jiggly when shaken, 15 to 20 minutes. Transfer to wire rack and cool 1 hour. Cover pie loosely with plastic wrap and refrigerate until filling is chilled, at least 3 hours or up to 24 hours. In a standing mixer fit with the whisk attachment, or with an electric mixer, whip cream and sugar on medium-low speed until foamy, about 1 minute. Increase speed to high until soft peaks form, about 1 to 3 minutes. Spread whipped cream over the top of pie or pipe a design around the edge. Garnish with lime zest. After my wife put the kibosh on me buying those frozen key lime pies from Trader Joes, I started making my own using this recipe. What’s she gonna do now? We’ve been married 28 years this November and I’m still here with my evening key lime pie. Every once in awhile she’ll have a slice. Can’t do better than that! Great recipe.